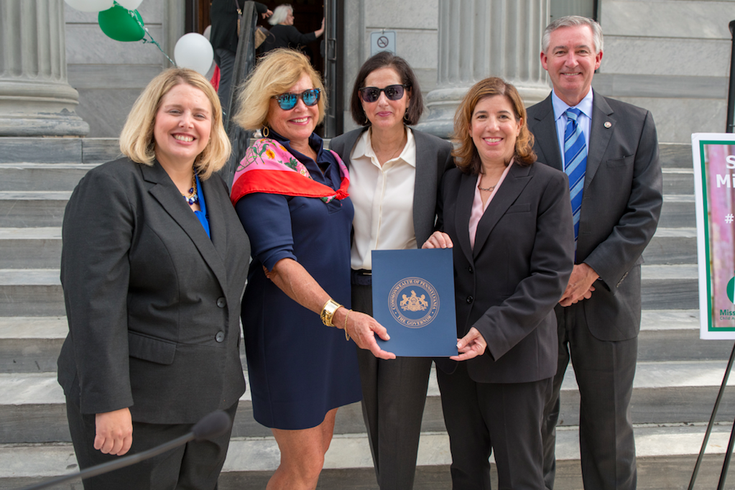 (left to right) Mission Kids Executive Director Leslie Slingsby, Mission Kids Board Chair Maripeg Bruder, Mission Kids CEO Abbie Newman, PennDOT Secretary of Transportation Leslie S. Richards, and District Attorney Kevin R. Steele. Mission Kids Child Advocacy Center, one of the region’s best resources for delivering justice for young victims of crime, was presented with one of the state’s highest awards for its work when it received the 2018 Governor’s Victim Service Pathfinder Award on Thursday. 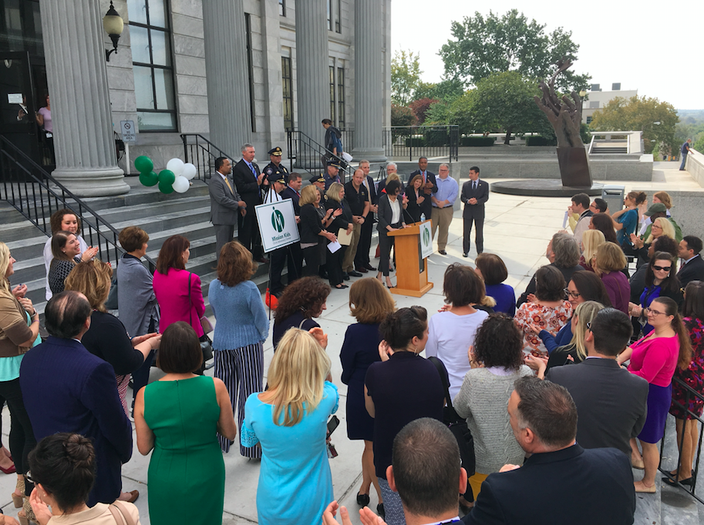 Local law enforcement officials, Montgomery County commissioners and state lawmakers gathered on the steps of the Montgomery County Courthouse last week to witness the award presentation, which acknowledged the good work Mission Kids has done in its nine years of child advocacy. 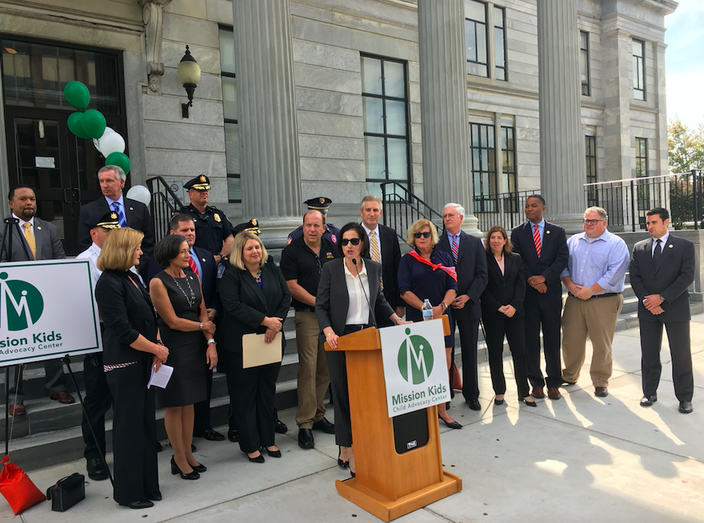 The nonprofit organization has acted as a third arm of the criminal justice system, along with prosecutors and police, in helping to ease the recovery process for victims of child abuse and their families. 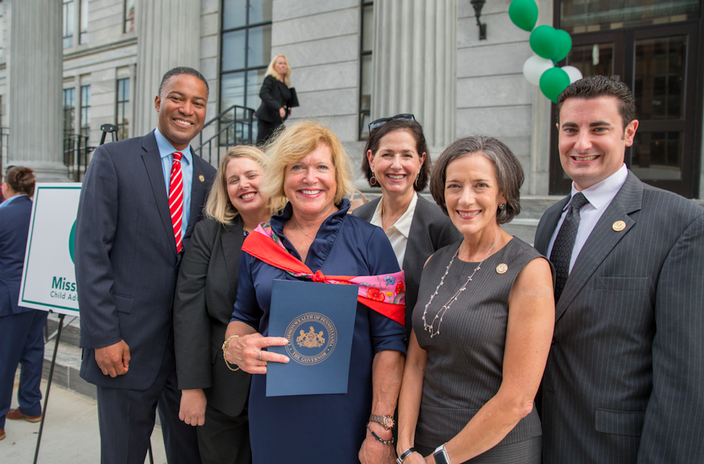 Since 1999, the governor's Victim Service Pathfinder Award has been widely recognized as the most prestigious award the state gives to a victim service program within Pennsylvania. Notable attendees included Montgomery County District Attorney Kevin Steele, state Sen. Daylin Leach (D-17th) state representatives Todd Stephens (R-151st) and Tim Briggs (R-149th) and state Department of Transportation Secretary Leslie Richards, among others. “Your dedication and passion to children has left an indelible impact on all the lives your work has touched,” Gov. Tom Wolf wrote in a citation read by Richards. 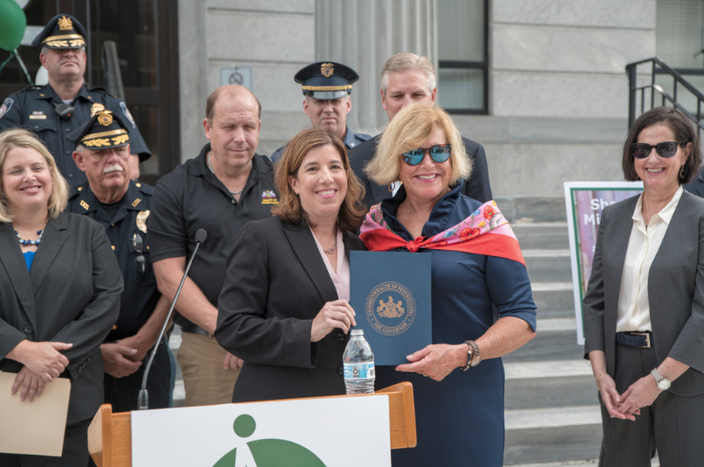 PennDOT Secretary of Transportation Leslie S. Richards and Mission Kids Chair of the Board of Trustees Maripeg Bruder at the 2018 Governor’s Victim Service Pathfinder Award presentation. Mission Kids CEO Abbie Newman providing opening remarks to the crowd on the steps of the Montgomery County Courthouse prior to the presentation of the 2018 Governor’s Victim Service Pathfinder Award. Crowd gathers at the Montgomery County Courthouse to honor Mission Kids Child Advocacy Center with the 2018 Governor’s Victim Service Pathfinder Award. (left to right) Montgomery County Commissioner Kenneth E. Lawrence, Jr, Vice Chair, Mission Kids Executive Director Leslie Slingsby, Mission Kids Board Chair Maripeg Bruder, Mission Kids CEO Abbie Newman, Commissioner Valerie A. Arkoosh, MD,MPH, Chair, and Commissioner Joseph C. Gale.